The star of U.S series ‘Outlander’ will be featured as one of the voice actors in the upcoming Netflix series ‘The Dark Crystal: Age of Resistance’. A prequel to the popular Jim Henson fantasy film ‘The Dark Crystal’, the ten part series returns to the world of “Thra”. In the new Netflix series, Balfe will voice one of the Gelfing characters, which will use puppetry instead of CGI or human actors. 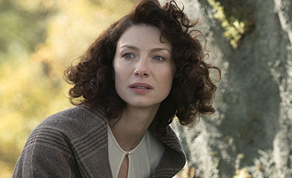 Caitriona Balfe rounds out a star-studded cast for the series which includes Mark Hamill, Keegan-Michael Key, Alicia Vikander, Natalie Dormer, Andy Samberg, Simon Pegg, and Helena Bonham-Carter among other. Balfe has risen to international acclaim for her role as Claire Randall in the Starz Television series ‘Outlander’, which recently saw the Irish actress receive a fourth consecutive Golden Globe nomination. ‘The Dark Crystal: Age of Resistance’ is currently in post-production and is expected to release at some point in 2019.